In the Tavşanlı Zone, the Eocene magmatism led to NW-SE trending plutons located just south of the İzmir-Ankara-Erzincan Suture Zone in Turkey. The Middle Eocene-aged Günyüzü Intrusive Complex (Karacaören, Tekören, Dinek, Kadıncık) is one of these plutonic rocks and has metaluminous to peraluminous, medium-K calc-alkaline to shoshonitic and mainly I-type granite characteristics. The plutonic rocks consist of mainly granodiorite and granite, and their mafic microgranular enclaves are widespread in these rocks. Mineral assemblages in the host rocks and enclaves also are quite similar (quartz, plagioclase, K-feldspar, biotite, and hornblende), but the latter are more enriched in mafic minerals. The enclaves have disequilibrium textures such as oscillatory zoning and resorbed rims, indicating magma mixing/mingling. In the chondrite-normalized REEs patterns of the plutonic rocks are moderately fractionated and have small negative Eu anomalies. They are enriched in LILEs and LREEs relative to HFSEs, showing characteristics of subductionrelated granitoids. The enclaves also have similar geochemical characteristics, indicating equilibration between the mafic and felsic magmas. Whole-rock geochemical data show that the parental magmas in the Günyüzü area were produced by partial melting from mafic crustal rocks and also magma mixing/mingling from enriched lithospheric mantle. Slab break-off is the likely mechanism for the initiation of the postcollisional magmatism in the Tavşanlı Zone. Altherr R, Holl A, Hegner E, Langer C, Kreuzer H (2000). High- potassium, calc-alkaline plutonism in the European Variscides: northern Vosges (France) and northern Schwarzwald (Germany). Lithos 50: 51-73. Altunkaynak S (2007). Collision‐driven slab breakoff magmatism in northwestern Anatolia, Turkey. J Geol 115: 63-82. Altunkaynak S, Dilek, Y, Genç SC, Sunal, G, Gertisser R, Furnes H, Foland KA, Yang J (2012a). Spatial, temporal and geochemical evolution of Oligo–Miocene granitoid magmatism in western Anatolia, Turkey. Gondwana Res 21: 961-986. Altunkaynak S, Sunal G, Aldanmaz E, Genç SC, Dilek Y, Furnes H, Foland KA, Yang J, Yıldız M (2012b). Eocene granitic magmatism in NW Anatolia (Turkey) revisited: new implications from comparative zircon SHRIMP U-Pb and 40Ar-39Ar geochronology and isotope geochemistry on magma genesis and emplacement. Lithos 155: 289-309. Ataman G (1972). The radiometric age of the Orhaneli granodiorite. Bull Geol Soc Turkey 15: 125-130 (in Turkish). Ataman G (1973). The radiometric age of the Gürgenyayla (Domanic) granodiorite. Bull Geol Soc Turkey 16: 22-26 (in Turkish). Bağcı M, Kibici Y, Yıldız A, İlbeyli N, Gürcan S, Demirbilek M, Dumlupunar İ (2011). The Mineralogical Properties of Granitic Rocks from Günyüzü (Sivrihisar, Eskişehir), and Investigation of Isotope Geochemistry and Physique-Mechanical Properties. Project No: 08.ISCMYO.02. Afyonkarahisar, Turkey: Coordinatorship of Scientific Research Project of Afyon Kocatepe University (in Turkish). Barbarin B (1992). Les granites crustaux hercyniens d’Europe Occidentale. Comparaison avec les granites S du Lachlan Fold Belt, Australie. Dualité d’origine. C R Acad Sci 314: 595-601 (in French). Boynton WV (1984). Geochemistry of the Rare Earth Elements: Meteorite Studies. In: Henderson P, editor. Rare Earth Element Geochemistry. Amsterdam, the Netherlands: Elsevier, pp. 63- 114. Chappell BW, White AJR (1974). Two contrasting granite types. Pacific Geology 8: 173-179. Clarke DB (1992). Granitoid Rocks. New York, NY, USA: Chapman and Hall. Clemens JD, Wall, VJ (1981). Origin and crystallization of some peraluminous (S-type) granitic magmas. Canadian Mineralogist 9: 111-131. Çoğulu E, Krummenacher D (1967). Problemes geochronome triques danslepartie NW del’Anatolie Centrale (Turquie). Schweiz Mineral Petrogr Mitt 47: 825-831 (in French). Cox KG, Bell JD, Pankhurst RJ (1979). The Interpretation of Igneous Rocks. London, UK: George, Allen and Unwin. Delaloye M, Bingöl E (2000). Granitoids from western and northwestern Anatolia: Geochemistry and modeling of geodynamic evolution. Int Geol Rev 42: 241-268. Demirbilek M (2012). Geochemical, geochronological and isotopic constraints on the intrusive rocks in the Günyüzü, Sivrihisar and Kaymaz regions (Eskişehir). PhD, Osmangazi University, Eskişehir, Turkey (in Turkish). Demirbilek M, Mutlu H (2012). Geochemical, geochronologic and Sr/Nd isotopic characteristics of the late Paleocene-Middle Eocene granitoids in the Tavşanlı zone, NW Turkey. In: Candan O, Çolak M, editors. International Earth Science Colloquium on the Aegean Region (IESCA), pp. 210-211. Demirbilek M, Mutlu H, Fallick AE, Sarıiz K, Kibici Y (2018). Petrogenetic evolution of the Eocene granitoids in eastern part of the Tavşanlı Zone in northwestern Anatolia, Turkey. Lithos 314-315: 236-259. Didier J (1973). Granites and Their Enclaves: The Bearing of Enclaves on the Origin of Granites. Amsterdam, the Netherlands: Elsevier. Dilek Y, Thy P, Hacker B, Grundvig S (1999). Structure and petrology of Tauride ophiolites and mafic dike intrusions (Turkey): implications for the Neotethyan Ocean. Geol Soc Am Bul 111: 1192-1216. Fernandez AN, Barbarin B (1991). Relative rheology of coeval mafic and felsic magmas: nature of resulting interaction processes. Shape and mineral fabric of mafic microgranular enclaves. In: Didier J, Barbarin B, editors. Enclaves and Granite Petrology. Amsterdam, the Netherlands: Elsevier, pp. 263-276. Gardien V, Thompson AB, Grujic D, Ulmer P (1995). Experimental melting of biotite-plagioclase-quartz-muscovite assemblages and implications for crustal melting. J Geophys Res 100: 15581-15591. Gautier Y (1984). Deformation et metamorfismes associes a la suture Tethysienno en Anatolie centrale (Region de Sivrihisar, Turquie). PhD, University of Paris Sud, Orsay, France (in French). Harris NBW, Kelley SP, Okay AI (1994). Postcollision magmatism and tectonics in northwest Turkey. Contrib Mineral Petrol 117: 241-252. Hibbard MJ (1991). Textural anatomy of twelve magma-mixed granitoid systems. In: Didier J, Barbarin B, editors. Enclaves and Granite Petrology. Amsterdam, the Netherlands: Elsevier, pp. 431-444. Hibbard MJ (1995). Petrography to Petrogenesis. New York, NY, USA: Prentice Hall. İlbeyli N, Kibici Y (2009). Collision-related magma genesis, their potential source and tectono-magmatic evolution: comparison between central, northwestern and western Anatolia (Turkey). Int Geol Rev 51: 252-278. Johnson RB, Glazner FA (2010). Formation of K-feldspar megacrysts in granodioritic plutons by thermal cycling and late-stage textural coarsening. Contrib Mineral Petrol 159: 599-619. Jung S, Hoernes S, Mezger K (2000). Geochronology and petrogenesis of Pan-African, syn-tectonic, S-type and post-tectonic A-type granite (Namibia): products of melting of crustal sources, fractional crystallization and wall rock entrainment. Lithos 50: 259-287. Karacık Z, Tüysüz (2010). Petrogenesis of the Late Cretaceous Demirköy igneous complex in NW Turkey: implications for magma genesis in the Strandja Zone. Lithos 114: 369-384. Karacık Z, Yılmaz Y, Pearce J, Ece Ö (2008). Petrochemistry of the south Marmara granitoids, northwest Anatolia, Turkey. International Journal of Earth Sciences 97: 1181-1200. Kibici Y (1994). Geochemical properties and genetical interpretation of the igneous rocks in Sivrihisar-Günyüzü (Eskişehir). Çukurova University Geosound 25: 1-12 (in Turkish). Kibici Y, Dağ N, Özgenç I (1993). Mineralogical and petrographical properties of the Sivrihisar-Günyüzü (Eskişehir) granitoid belt. Çukurova University Geosound 23: 97-112 (in Turkish). Kibici Y, İlbeyli N, Yıldız A, Bağcı M (2008). Geochemical Constraints on the genesis of the Günyüzü pluton, Northwest Anatolia, Turkey. Int Geol Rev 50: 931-947. Köprübaşı N, Aldanmaz E (2004). Geochemical constraints on the petrogenesis of Cenozoic I-type granitoids in northwestern Anatolia, Turkey: evidence for magma generation by lithospheric delamination in a post-collisional setting. Int Geol Rev 46: 705-729. Kumar S, Rino V (2006). Mineralogy and geochemistry of microgranular enclaves in Palaeoproterozoic Malanjkhand granitoids, central India: evidence of magma mixing, mingling, and chemical equilibration. Contrib Mineral Petrol 152: 591- 609. Lefebvre C, Meijers MJM, Kaymakci N, Peynircioğlu A, Langereis CG, Van Hinsbergen DJJ (2013). Reconstructing the geometry of central Anatolia during the late Cretaceous: large-scale Cenozoic rotations and deformation between the Pontides and Taurides. Earth Planet Sci Lett 366: 83-98. Lisenbee A (1972). Structural setting of the Orhaneli ultramafic massif near Bursa, Northwestern Turkey. PhD, Pennsylvania State University, State College, PA, USA. Ludwig KR (2003). Isoplot 3.0: A geochronological toolkit for Microsoft Excel. Berkeley Geochron Cent Spec Publ 4: 1-70. Meijers MJM, Langereis CG, van Hinsbergen DJJ, Kaymakcı N, Stephenson RA, Altıner D (2010). Jurassic-Cretaceous low paleolatitudes from the circum Black Sea region (Crimea and Pontides) due to True Polar Wander. Earth Planet Sci Lett 296: 210-226. Middlemost EAK (1994). Naming materials in the magma/igneous rock system. Earth-Sci Rev 37: 215-224. Okay AI (1984). Distribution and characteristics of the northwest Turkish blueschists. In: Dixon JE, Robertson AHF, editors. The Geological Evolution of the Eastern Mediterranean. London, UK: Geological Society of London Special Publications, pp. 455-466. Okay AI (2002). Jadeite-chloritoid-glaucophane-lawsonite schists from northwest Turkey: unusually high P/T ratios in continental crust. J Met Geol 20: 757-768. Okay AI (2008). Geology of Turkey: a synopsis. Anschnitt 21: 19-42. Okay AI, Harris NBW, Kelley SP (1998). Exhumation of blueschists along a Tethyan suture in northwest Turkey. Tectonophysics 285: 275-299. Okay AI, Satır M (2006). Geochronology of Eocene plutonism and metamorphism in northest Turkey: evidence for a possible magmatic arc. Geo Acta 19: 251-266. Okay AI, Tüysüz O (1999). Tethyan sutures of northern Turkey. In: Durand B, Jolivet L, Hovarth F, Séranne M, editors. The Mediterranean Basins: Tertiary Extension within the Alpine Orogen Tethyan Sutures of Northern Turkey. London, UK: Geological Society of London Special Publications, pp. 475- 515. Önen P (2003). Neotethyan ophiolitic rocks of the Anatolides of NW Turkey and comparison with Tauride ophiolites. J Geol Soc 160: 947-962. Patĩno Douce AE (1996). Effects of pressure and H 2 O contents on the composition of primary crustal melts. Trans R Soc Edinburgh Earth Sci 87: 11-21. Patĩno Douce AE (1999). What do experiments tell us about the relative contributions of crust and mantle to the origin of granitic magmas? In: Castro A, Fernandez C, Vigneressese JL, editors. Understanding Granites: Integrating New and Classical Techniques. London, UK: Geological Society of London Special Publications, pp. 55-75. Patĩno Douce AE, Beard JS (1995). Dehydration melting of biotite gneiss and quartz amphibolite from 3to 15 kbar. J Petrol 36: 707-738. Patĩno Douce AE, Beard JS (1996). Effects of P, ƒ(O2) and Mg/Fe ratio on dehydration melting of model metagreywackes. J Petrol 37: 999-1024. Patĩno Douce AE, McCarthy TC (1998). Melting of crustal rocks during continental collision and subduction. In: Hacker BR, Liou JG, editors. When Continents Collide: Geodynamics and Geochemistry of Ultrahigh-Pressure Rocks. Dordrecht, the Netherlands: Kluwer Academic Publishers, pp. 27-55. Pearce JA, Harris NBW, Tindle AG (1984). Trace element discrimination diagrams for the tectonic interpretation of granitic rocks. J Petrol 25: 956-983. Perugini D, Poli G (2012). The mixing of magmas in plutonic and volcanic environments: Analogies and differences. Lithos 153: 261-277. Poli G, Tommasini S (1991). Model of the origin and significance of microgranular enclaves in calc-alkaline granitoids. J Petrol 32: 657-666. Reid JB Jr, Evans OC, Fates DG (1983). Magma mixing in granitic rocks of the central Sierra Nevada, California. Earth Planet Sci Lett 66: 243-261. Rickwood PC (1989). Boundary lines within petrologic diagrams which use oxides of major and minor elements. Lithos 22: 247- 263. Seaton NCA, Whitney DL, Teyssier C, Toraman E, Heizler MT (2009). Recrystallization of high-pressure marble (Sivrihisar, Turkey). Tectonophysics 479: 241-253. Şengör AMC, Yılmaz Y, Ketin İ (1982). Remnants of a pre-Late Jurassic ocean in northern Turkey, Fragments of Permo- Triassic Paleo-Tethys. Reply. Geol Soc Am Bull 93: 932-936. Sherlock S, Kelley SP, Inger S, Harris N, Okay AI (1999). 40 Ar- 39 Ar and Rb-Sr geochronology of high-pressure metamorphism and exhumation history of the Tavsanli Zone, NW Turkey. Contrib Mineral Petrol 137: 46-58. Singh J, Johannes W (1996). Dehydration melting of tonalites: Part II. Composition of melts and solids. Contrib Mineral Petrol 125: 26-44. Streckeisen A, Le Maitre RW (1979). A chemical approximation to the modal QAPF classification of the igneous rocks. N Jb Mineral Abh 136: 169-206. Sun SS, McDonough WF (1989). Chemical and isotopic systematics of oceanic basalts: implications for mantle composition and processes. In: Saunders AD, Norry MJ, editors. Magmatism in the Ocean Basins. London, UK: Geological Society of London Special Publications, pp. 313-345. Sylvester PJ (1998). Post-collisional strongly peraluminous granites. Lithos 45: 29-44. Tekin UK, Göncüoğlu MC, Turhan N (2002). First evidence of Late Carnian radiolarians from the Izmir-Ankara suture complex, central Sakarya, Turkey: implications for the opening age of the Izmir-Ankara branch of Neo-Tethys. Geobios 35: 127-135. Thompson AB (1996). Fertility of crustal rocks during anatexis. Trans R Soc Edinburgh Earth Sci 87: 1-10. Tüysüz O, Dellaloğlu AA, Terzioğlu N (1995). A magmatic belt within the Neo-Tethyan suture zone and its role in the tectonic evolution of northern Turkey. Tectonophysics 243: 173-191. Vernon RH (1983). Restite, xenoliths and microgranitod enclaves in granites. J Proc R Soc New South Wales 116: 77-103. Vernon RH (1984). Microgranitoid enclaves: globules of hybrid magma quenched in a plutonic environment. Nature 304: 438- 439. Vernon RH (1986). K-feldspar megacrysts in granites; phenocrysts, not porphyroblasts. Earth Sci Rev 23: 1-63. Vernon RH (2014). Microstructures of microgranitoid enclaves and the origin of S-type granitoids. Aust J Earth Sci 61: 227-239. Vernon RH, Etheridge ME, Wall VJ (1988). Shape and microstructure of microgranitoid enclaves: indicators of magma mingling and flow. Lithos 22: 1-11. Wang J, Hattori KH, Kilian R, Stern CR (2007). Metasomatism of sub arc mantle peridotites below southernmost South America: Reduction of SiO 2 by slab-melt. Contrib Mineral Petrol 153: 607-624. Winkler HGF, Schultes H (1982). On the problem of alkali feldspar phenocryst in granitic rocks. N Jb Mineral Monatsh 12: 558- 564. Wolf MB, Wyllie PJ (1994). Dehydration-melting of amphibolite at 10 kbar: Effects of temperature and time. Contrib Mineral Petrol 115: 369-383. ISNAD BAĞCI, Metin , DEMİRBİLEK, Mehmet , İLBEYLİ, Nurdane , YILDIZ, Ahmet , KİBİCİ, Yaşar . 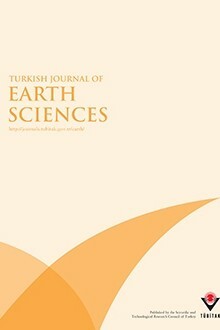 "Geochronological and geochemical constraints and origin of the Tavşanlı Zone plutonic rocks (NW Turkey)". Turkish Journal of Earth Sciences 28 / 1 (January 2019): 60-84.